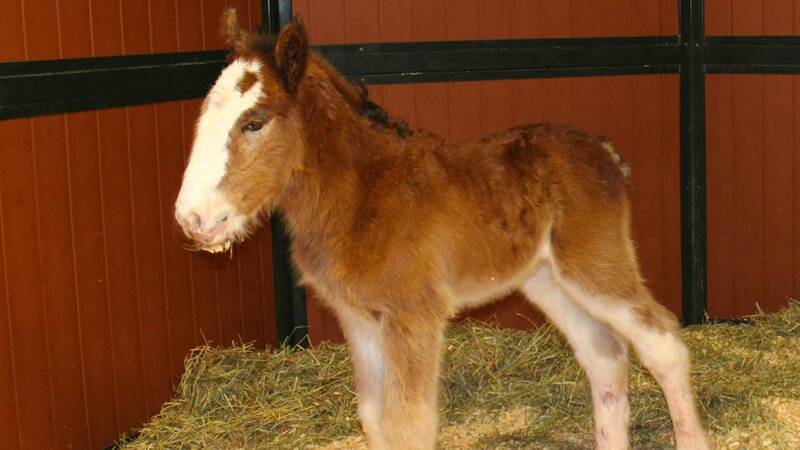 BOONVILLE, MO -- The Budweiser Clydesdales family welcomed its first foal of 2016 this week. Mac was born at Warm Springs Ranch Tuesday, joining Anheuser-Busch's herd of more than 160 Clydesdales. Mac will reside at Warm Springs Ranch in Boonville, Missouri, while he learns the ins and outs of being a Budweiser Clydesdale. The tradition of the Budweiser Clydesdales started in 1933 when they made their first-ever appearance as a gift from August A. Busch, Jr. and Adolphus Busch to their father in celebration of the repeal of Prohibition.